We feature our information booths and adoptable animals at special events, business partnerships, fairs and conferences throughout San Diego County. Staff and trained volunteers manage the animals attending and info booths and are prepared to answer questions about San Diego Humane Society, its programs, and initiatives. Thank you for your interest in hosting a Mobile Adoption Meet & Greet to support the animals at San Diego Humane Society. We have put together these handy guidelines to help you with planning. The following guidelines have been developed to help you prepare for your special event, as well as understanding expectations for each partner. Accommodate parking for SDHS van and volunteers (when possible). If parking can not be reserved, instructions will be needed on parking options. Provide unloading/loading zone location onsite. Provide 10x10 space outside for our tent and information table. SDHS staff will arrive 30 minutes before event to set up and volunteers will show up 10-15 minutes before event starts. We have our own supplies for event: table/chairs, canopy, dog waste bags, bowls and water for the dogs. 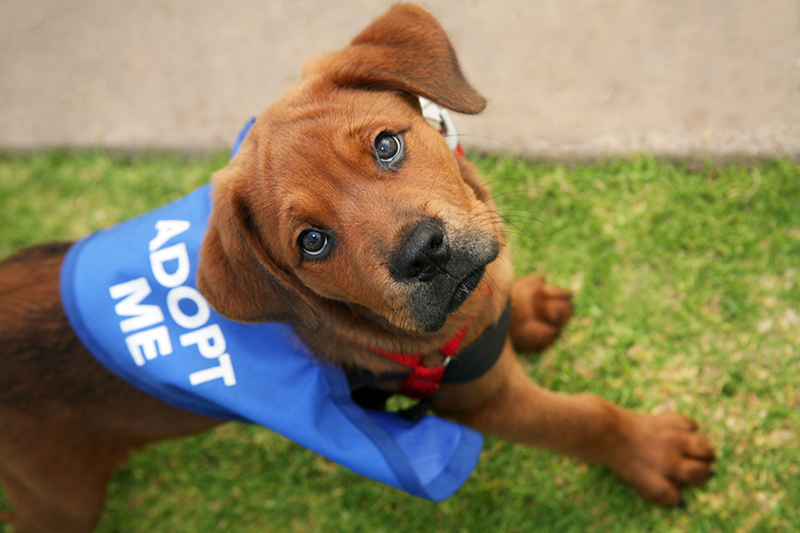 Fundraising opportunities are a great way to enhance an adoption meet & greet. These can be cash donations from the organizing company, employees or customers. Wish list donation drives are also a wonderful way to support the animals. We can supply you with signage and item lists. We typically bring only dogs to off-site events. Small animals are an option, as well as kittens when appropriate. We do not bring adoptable cats to offsite events because they can show serious signs of stress and don't show their true personalities. Generally, we bring 4-6 animals, and since our population flucuates, we can not guarantee a particular number of animals. Since the popluation changes daily, we will not know how many animals will be attending until the before (which could change). We have one handler per animal, so volunteer sign ups can also determine how many animlas attend. Adoptable dogs will be on leashes at all times and handled by our trained Mobile Volunteers. Kittens will be in xpens and small animals will be in appropriate housing depending on species. Our volunteers/staff are responsible for picking up after the animals and managing the adopter interactions. Animals can be adopted offsite the day of depending on the individual animal. We do recommend if a potential adopter has a resident dog and/or kids at home that they meet onsite at the event or meet the animal back at the specific campus where the dog is located. There are times where the animals we bring to events don’t get adopted. Please keep in mind that the animals got to get out of the shelter for a day of socializing and additional exposure. Each of these opportunities provide us with more information on the animal to help them get adopted. What can you do to help promote the event? Social Media: Share the event through your social media outlets. We can provide logos and photos. Create and Distribute Flyers: We can provide you with our logo, photos and messaging. Please provide us with a draft prior to finalizing and distributing. Media Support: If you have secured any press or media, please let us know so we can participate or offer direction as needed. We can typically support your efforts by providing promotion via our social media outlets, inclusion in our monthly e-newsletter and web calendar. We welcome any questions or ideas to make your adoption meet & greet rewarding and successful!